I got inspired to write this blog when I noticed I was hanging out longer and longer on Facebook even though other parts of me were objecting. Social media addiction is no joke. Have you ever wondered if you’re addicted to social media? Apparently we’re only partially to blame for our addiction. The fundamentals of software design are geared to capture us into using products more and more by preying on us psychologically. These designs are informed psychological to work at getting their users addicted. Even more reason to pay attention and beware! Recent studies about social media show how the use of it will change your brain. Sometimes using Facebook increases happiness and other times it decreases it. 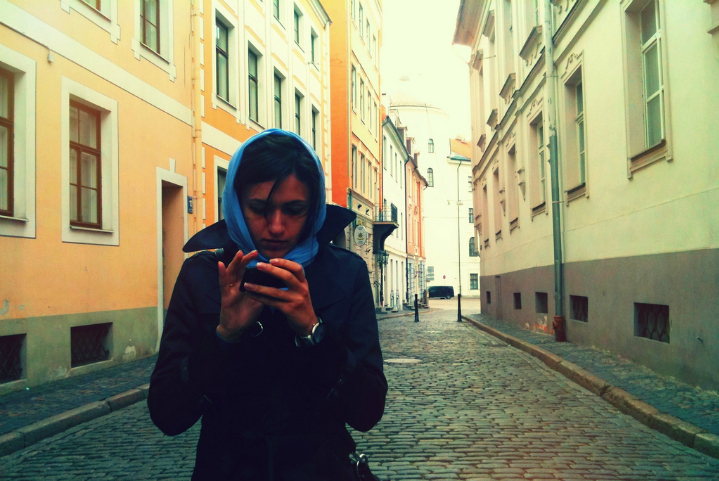 Researchers discovered a link between passive Facebook use and decreased happiness. Passive Facebook use is when you’re scrolling and reading, but not engaging. Boredom and unhappiness increases. It seems the lack of attention can cause us to feel bored and then unhappy. When our attention is actively engaged, we aren’t bored. When we fail to engage, boredom sets in. Research is pointing at engaging in meaningful activities as equaling feeling more content and even happy. Of course, social media addiction extends beyond Facebook. Are you enslaved or bound to your social media? Do you feel uncomfortable if you can’t use it, or get interrupted while using it? Has social media moved to the top of your priority list, replacing other activities that are possibly more important? For example, is it more important to you than your job? Are you using social media more often and longer than you planned? Do you make a plan to curb your usage, but always find a sneaky excuse to use it anyway, like “just checking for a quick second” to see if your cousin had her baby and then an hour goes by? The higher level of irritation, pain, or panic the more of a hold it has on you. Imagine if you color-coded your life. Give each activity a color on your color circle. As you add in Facebook, texting, email, gaming, YouTube videos, etc., there’s less room for other colors. What gets smaller is sleep, family, work, and organizing and planning life. The more you pack into this circle, the more stress there is on the things and people already in your life. Is it time for a digital detox? This is where you disconnect from social media so you can reconnect with the people around you. Before I urge you to declutter and reprioritize, let’s remember the Golden Rule of IFS: there are no bad parts of you. All of the different parts of you have good intentions for you. Including the part that is so desperate to check your Facebook feed. Using social media is somehow pleasurable for this part of you. Dopamine is released, which contributes to the experience of pleasure. Dopamine interacts with another neurotransmitter called Serotonin to take over the brain’s system of reward-related learning. However, this may not be a temporary destination if you’re becoming addicted. Addiction is about behaviors (or substances) overloading the internal reward system that includes pleasure, motivation, and memory. The more pleasure we derive from social media, the more we go after that feeling pleasure. Your brain changes in response to this behavior. Take a pause from your normal activity and see what you discover before your use of social media changes your brain in ways that are harmful. Don’t think for a second those social media app designers don’t know that! They’re counting on your addiction. (If you’re interested in learning more about how addiction and not just social media addiction changes your brain in unwanted ways – read this article from Harvard University here). Whether you’re addicted or not, you’re not helpless in the face of Facebook! Instead, you can help this Facebook-obsessed part of you discover healthier and more productive ways to gain those things. If only you could just choose to quit and be done with it! But that is not the nature of an addiction. It really clings to you! The more effective way of decreasing addictive behaviors is to substitute healthier ones that lead you away from social media. Remember that list of feelings your social media addiction gives you? Here I’ll list some replacement activities. Planning fun time with friends and family. Engaging nature through hikes, walks, and picnics. Enjoying a fika with a friend. Learning a new skill so you can experience mastery. Building a birdhouse, planting a garden, or any other activity that has a beginning, middle, and end and has you working with your hands. Creating time to reach out and help others in person. A friend in need? A volunteer opportunity? Seeing how to meet your physical pain with a plan and routine by researching the experts and seeking advice from others who also carry physical pain. Reflecting on when you’ve felt calm in your life – on your morning run? spending time with your child? petting the dog? – and do more of that. Reaching out to someone in your life with the purpose to connect and just enjoy being together. Engaging in a cause you believe in take the small first step. Help yourself now, before your brain gets stuck in that loop of diminishing social-media-fun returns. If you’re not sure if you’re addicted, take the Bergen Facebook Addiction Scale. You spend a lot of time thinking about Facebook (or other social media) or planning how to use it. If you responded with a 4 or 5 to more than 4 of the questions, you may be addicted to social media. “Phone” by Flickr user Alexander Lyubavin is licensed under CC BY 2.0. 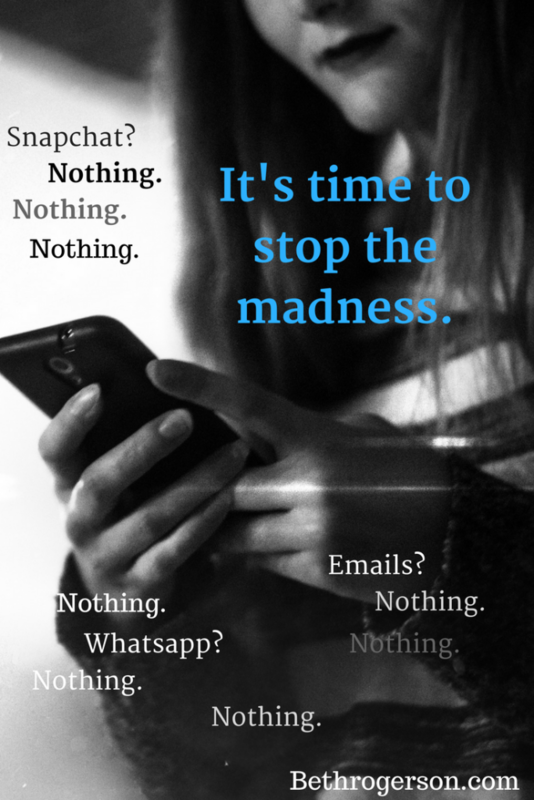 Share the post "Social Media Addiction & Me & Maybe You Too"